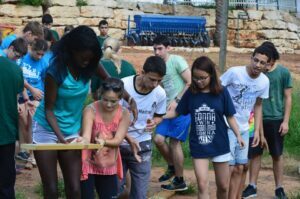 In conflict-ridden Israel a new experiment is taking shape in the city of Ramat HaSharon: an international boarding school — the Eastern Mediterranean International School (EMIS) — is trying to build bridges of peace between various factions through education and by fostering inter-cultural understanding. The first of its kind in a region torn by ethnic and political battles, this school is home to students of grades 11 and 12 from countries around the world. 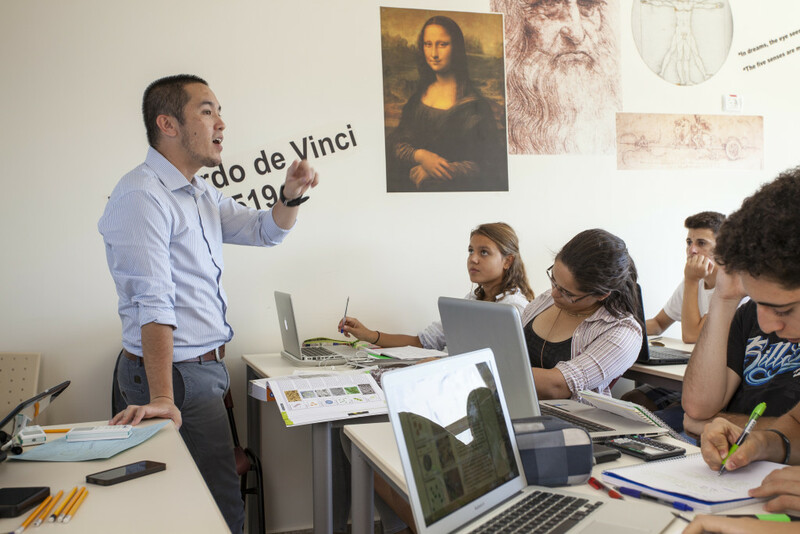 EMIS is also the first school in Israel to offer the International Baccalaureate (IB) program. The school opened in September 2014 and has around 140 students ages 16 to 19 years chosen on the basis of academic and leadership without regard to race, gender, religion, political or financial background. The selection process also considered if they were emotionally and mentally suitable for this program. Forty percent of EMIS’ students are from the Eastern Mediterranean and Middle East regions including Israel, Palestine, Morocco, Afghanistan, Yemen, Egypt and Turkey. The rest are from countries like Venezuela, Ecuador, Brazil, Vietnam, China, Cambodia, New Zealand, Tanzania, South Africa, and also Europe. There is likely to be a student from Iran also in the next academic year. EMIS is located within Kfar HaYarok, a youth village and educational campus set up by the ministry of education, and is supported by Kfar HaYarok by way infrastructure, funding and organizational assistance. While Kfar HaYarok presently manages the school, it is the brainchild of Oded Rose, an Israeli citizen and CEO of the Israel-America Chamber of Commerce. Rose set up EMIS in partnership with Kfar HaYarok and he continues to play a role in its development and fundraising. “To understand the school you have to understand the mission — it is to make education a force for peace and sustainability in the Middle East,” says the 52-year-old Rose. “The school is about teaching values, respecting others, nurturing peace, and making the world a better place.” Bringing students from both sides of the conflict — Israel and Palestine — together with a wider group of students from across the world helps to provide an international context. Interestingly, EMIS opened barely four days after the Israel-Gaza conflict ended. On the first day of school (September 1, 2014), 85 out of the 86 students who had enrolled showed up. “We didn’t know how we would open the school with the war going on, especially as we were required to obtain permits for the students from the Palestinian Authority,” says Rose. So far, the initiative has been a great success and the next group of students to join the school has also been selected. The inspiration for EMIS, says Rose, came during the two years he spent at the Lester B. Pearson United World College (UWC) in Canada. He went there on full scholarship at the age of 16 after completing a liberal arts high school curriculum in Tel Aviv. At Lester Pearson, Rose’s fellow students came from 80 countries including Egypt and Palestine, and countries from Europe, Latin America and North America. The philosophy at Lester Pearson is to bring people together from around the world to study and live in peace. The most important things Rose learnt there were tolerance, respect for others and to believe in himself. After completing his IB diploma program at Lester Pearson in 1982, Rose returned to Israel for compulsory military service and went on to do an Master’s Degree in medical research from Tel Aviv University. It was while he was studying medicine that Rose thought about his experience in Canada and realized that the Middle East had urgent need for a school like Lester Pearson. He wanted to establish something similar in Israel, and in 1992 he gathered a few students from different countries and conducted a three-week pilot based on the Lester Pearson model. Rose then decided to continue his education in the U.S., which included earning an MBA and a Master’s Degree in international studies, followed by a stint in consulting at Booze Allen Hamilton. He returned to Israel in 1999 and joined Walden, a venture capital firm, as partner, spending the next eight years in the venture capital industry. While pursuing his various activities, Rose held his dream close to his heart – to open a school on the lines of Lester Pearson. “I had the experience of going to a school where I met people from all over the world, and met them in a neutral place where you can just be a person. You don’t have to stand with a flag and say ‘I am Israeli or ‘I am Palestinian’. I liked the model, it worked for me. You bring people together, not for a week, but for a longer period. Local bilateral programs are good too but have a different approach by keeping the conflict as the central topic,” he says. At EMIS, Rose explains, while some of the programs are connected with the conflict and the goal of bringing Israelis and Palestinians together, at the same time, the conflict is not the main or only focus as most students are not from the conflict region. Rose was determined to break down these walls and conducted a second pilot based on the Lester Pearson model in 2010. With the help of the United Colleges World Network, he brought together five Palestinian students from Ramallah, five students from Israel and another 20 students from 10 different countries for a three-week summer program, on the past, present and future civilizations in the desert. This pilot was held in the south of the country for two weeks and in Jerusalem for one week. In 2014, based on the success of the pilot and with the support of individuals, charitable foundations, international and local business leaders, educators, social activists and others who wanted to make a difference in the Middle East, Rose realized his dream and established EMIS. But how did the school manage to attract students to the strife-torn region? “With scholarships and the IB diploma program which is an entrance certificate to some of the best universities in the world,” says Rose. “The mission statement — making education a force for peace in the Middle East – is also a very strong incentive.” A quarter of the students at EMIS get full scholarship and most others receive a partial scholarship. EMIS has a team of 20 teachers who are mainly from Israel and Palestine. There are a few from other countries as well. Rose says he has been able to publicize the school and expand his reach mainly through social media such as Facebook and Google ads. Apart from the regular studies of the IB curriculum, there is a wide array of extracurricular activities including sports, arts and community service, mostly organized by the students. For instance, the Youth Conference on Peace and Sustainability is an annual event that involves other schools from the region including Gaza, then West Bank, Jordan and Israel. There are also some specific programs aimed at bringing Israelis and Palestinians together. EMIS is a 20-minute drive to Tel Aviv University, with which it has a strategic relationship. All EMIS students receive Tel Aviv University ID cards enabling them to use the library, attend lectures and receive guidance from the university staff for ideas for research. Providing easy access to university facilities and resources not normally available to high school students is a unique feature of EMIS. The school also offers a special course in entrepreneurship in conjunction with Tel Aviv University. EMIS partners with other organizations too, like Seeds of Peace for instance. A 20-year-old organization, Seeds of Peace focuses on three types of change — personal and interpersonal transformation, and wider societal change. It conducts summer camps — mainly in the U.S – where it brings together students from areas of conflict for over two to three weeks for each camp. Once they return to their own countries there are follow up activities. There are now over 6,000 Seeds and Educators from 27 countries who are working to prove that solutions exist, peace is possible, and there is reason to have hope for a better future. In April, EMIS hosted a weekend program for around 40 students in partnership with Seeds of Peace. The program included workshops on mediation and conflict mitigation and other aspects of conflict resolution. Although the school is only in the second year of its existence, students say that it has made an enormous impact on their lives. Each one tells a different story but what they emphasize is that contact with students from other countries has opened their minds. A student from Hebron, 19 miles south of Jerusalem, says that apart from giving him a better education EMIS has given him the opportunity to meet Israelis. “I could have never done this in Palestine. I am not afraid to tell people I am Palestinian and that I came from Hebron to be one of those who contribute to making peace.” Tamara Canon from Singapore says EMIS is helping her realize her potential and gives her the opportunity to influence people. Rose points out that EMIS is very open – if you have an idea you are given the freedom to explore it. One of the main challenges that EMIS faces is funding, says Rose. Financing, amounting to millions of dollars, is obtained from three sources – the Israel ministry of education, tuition fees and fundraising in Israel, the U.S. and Europe. While the infrastructure for EMIS is provided by Kfar HaYarok, it requires some $4 million a year in operational expenses. Till now the education ministry has contributed 20% and tuition fees bring in another 30%. The balance comes from charitable foundations, the Switzerland-based Beracha Foundation, the Crown Family Foundation of Chicago, and private donors. There is also the political challenge. “People are skeptical about this model in a conflict area. But when they come and see it, they fall in love with the place,” says Rose. He is now involved with establishing two similar schools in Israel, one in an Arab region of the country and the other in Jerusalem. Each one is a separate project involving different groups and different people, but all with the same idea. Each group has its own resources and Rose is playing more of a supporting role. “I see these schools like lighthouses shedding light in our dark region,” he says.